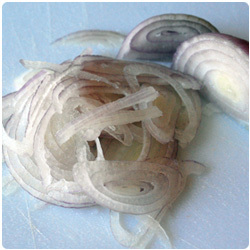 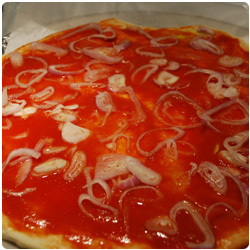 Slice the shallot really thin and add it on the pizza. 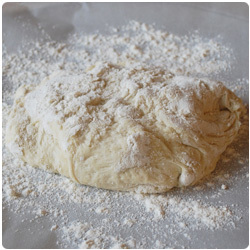 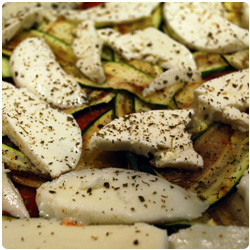 Cook in the oven for 15 min at 200°C (390F). 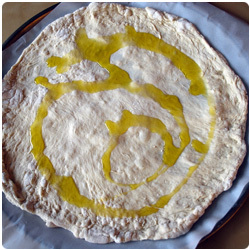 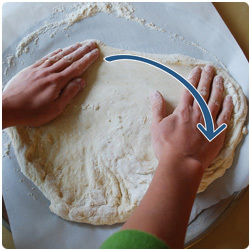 If it becomes too dry add some olive oil. 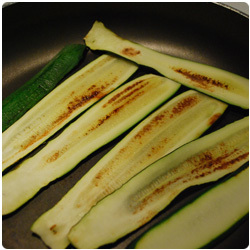 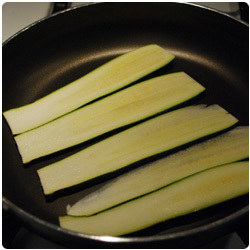 In the mainwhile slice the zucchini and grill them on a non-stick pan. 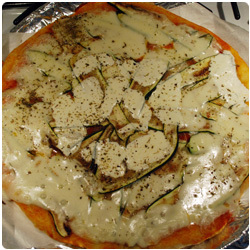 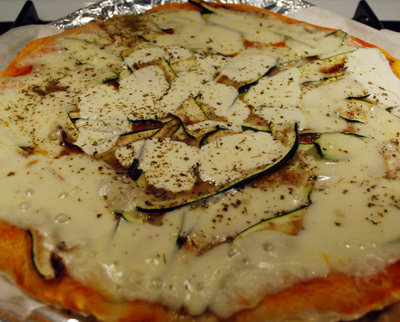 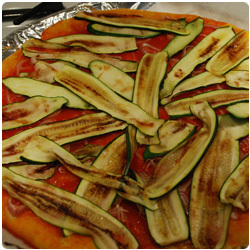 Take the pizza out of the oven and add the zucchini. 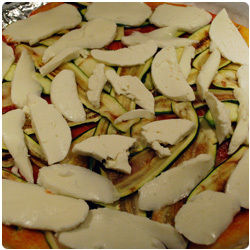 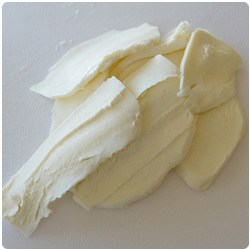 Slice the mozzarella. 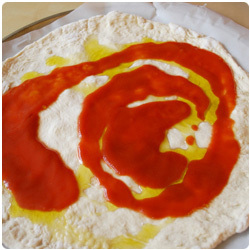 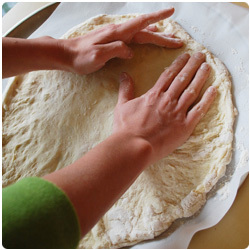 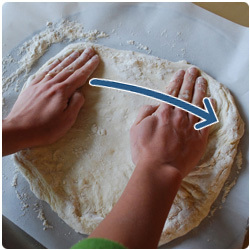 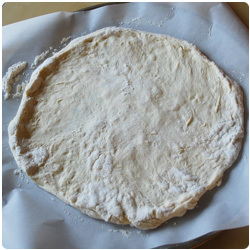 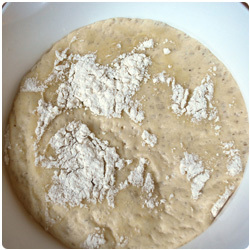 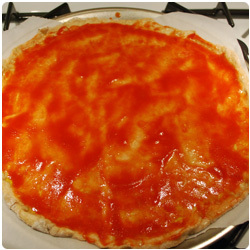 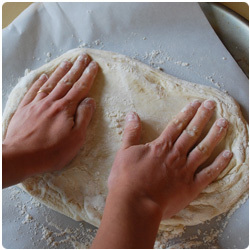 Add the mozzarella close to the crust of the pizza. 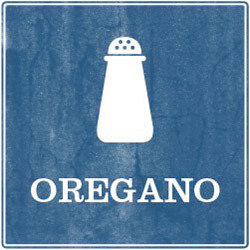 Add oregano on the top. 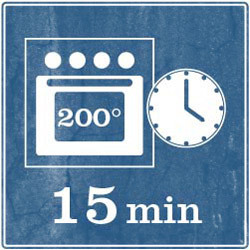 Cook for an other 10-15 min at 200°C (390F). 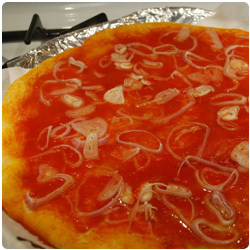 Eat hot.